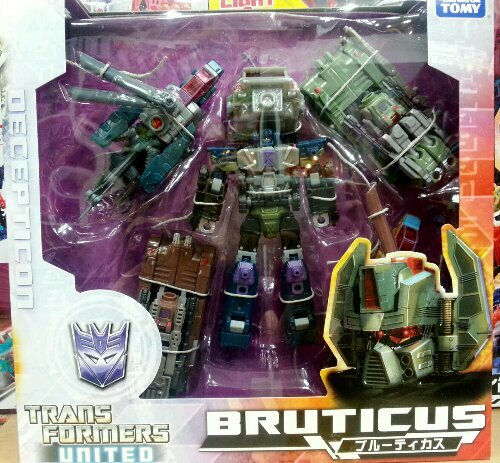 Transformers United Bruticus has arrived to Toy Garden and Toywiz Malaysia today! This set had been released from Hasbro before and Takara version comes with a new deco and clearly a better color scheme! Onslaught, Vortex, Decepticon Brawl, Swindle and Blast Off can combine and form the mighty Bruticus!